Published: Jan. 20, 2019 at 10:29 p.m. 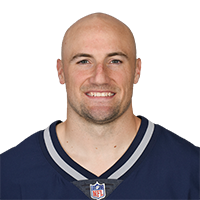 Published: Jan. 20, 2019 at 09:55 p.m.
New England Patriots running back Rex Burkhead burrows in for a touchdown and late lead. Published: Jan. 13, 2019 at 02:18 p.m.